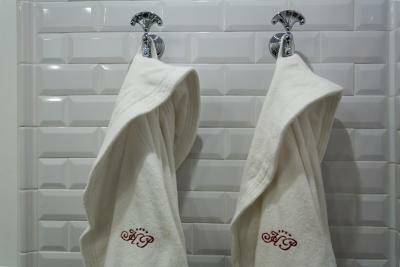 Lock in a great price for Hotel President – rated 8.6 by recent guests! We attended the area for the Viareggio Carnival, the lacotion was awesome and the accomendations were great also a great staff. The room was absolutely beautiful. 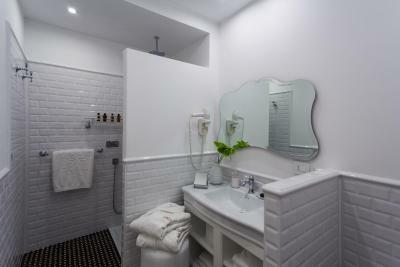 Great bathroom. Very comfortable bed. The location was very central and the staff was helpful and friendly. The breakfast was exceptionally good. Our room overlooked the promenade and the ocean. We enjoyed walking through the old town and the canal area. The hotel was in a good location to restaurants and the beach. Traditional hotel almost luxury. Pleasant and very helpful staff. 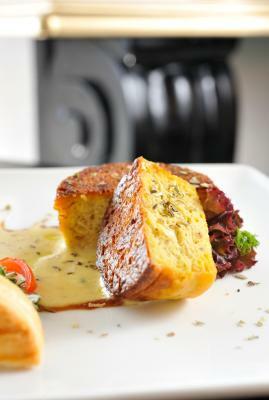 This is a a friendly clean and well run hotel with a superb breakfast buffet that is a true value. Affordable paid street parking out front beach areaand 15 min walk to train station. All was good, location, amenities and helpful staff. Service from one front desk gentleman was outstanding. 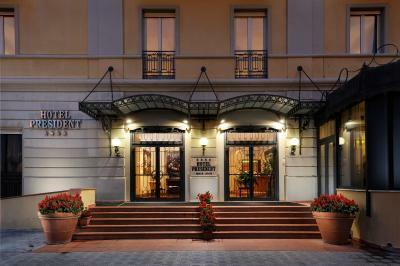 One of our top picks in Viareggio.Hotel President is on the seafront, a 10-minute walk from Viareggio Station. It offers attentive service, a large buffet breakfast, and discounts at a local beach club and swimming pool. Rooms are air conditioned and feature Wi-Fi access and a plasma-screen TV with Sky satellite TV. Laptops are available to rent from reception. The buffet breakfast at the President Hotel features over 80 items, including fresh croissants and fruit. 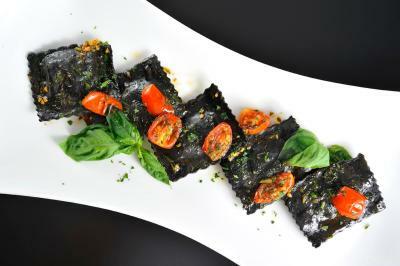 The restaurant, open from May until the end of September, serves traditional Italian cuisine and four-course dinners. Being so close to the station you can easily reach Lucca, Florence, and other Tuscan towns of interest. 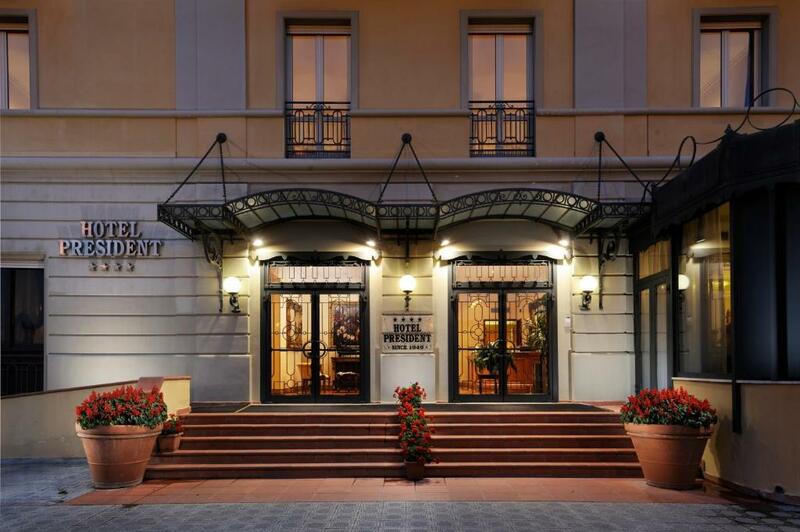 The hotel is 1,300 feet from Viareggio's harbor, while the bus station is only 100 feet away. 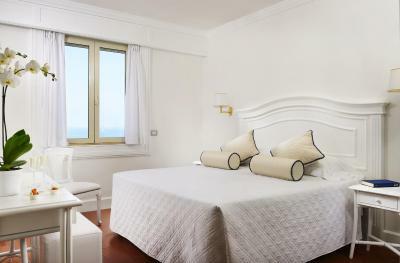 This tastefully decorated room overlooks Piazza Mazzini and has a partial view of the Mediterranean Sea. Along with free Wi-Fi, it also features air conditioning and a flat-screen TV with Sky Gold and pay-per-view channels. 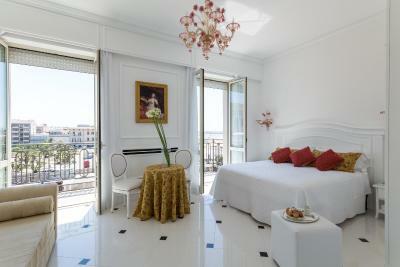 This tastefully decorated large room overlooks Piazza Mazzini and a partial view of Mediterranean Sea. 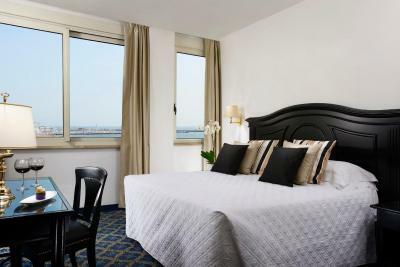 With free Wi-Fi, this room also features air conditioning and a flat-screen TV with Sky Gold and pay-per-view channels. 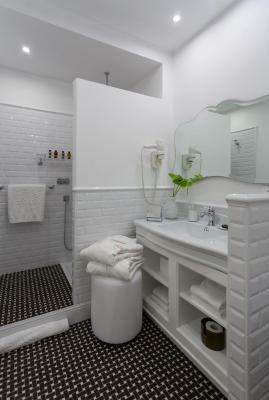 This white-themed room has a Devon&Devon bathroom with Ortigia toiletries. Offering free Wi-Fi, it also features air conditioning and a flat-screen TV with Sky Gold and pay-per-view channels. 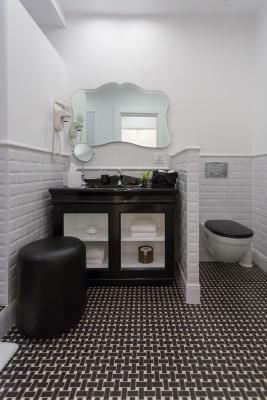 This Belle Epoque-style room has a balcony and a Devon&Devon bathroom with Ortigia toiletries. Offering free Wi-Fi, it also features air conditioning and a flat-screen TV with Sky Gold and pay-per-view channels. 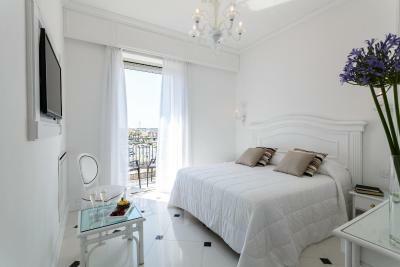 With a sea-view balcony, this tastefully decorated room offers free Wi-Fi. It also features air conditioning and a flat-screen TV with pay-per-view channels. 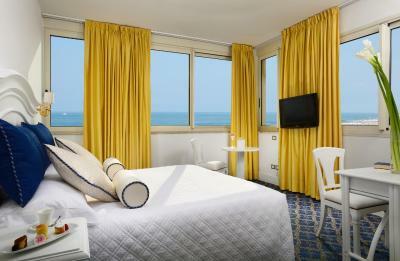 This tastefully decorated room has a partial view of the Mediterranean Sea. Offering free Wi-Fi, it also features air conditioning and a flat-screen TV with pay-per-view channels. 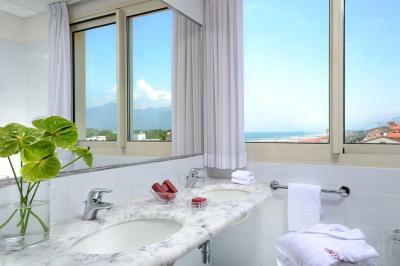 Offering partial sea views, this air-conditioned room features satellite TV, a mini-bar and private bathroom. Hotel President is a family owned and managed hotel and this assures you that every member of the team works to offer the highest levels of personal service making each guest feel at home for a truly memorable stay. ATM card Hotel President accepts these cards and reserves the right to temporarily hold an amount prior to arrival. In case of early departure, the hotel will charge the entire amount of the booked stay. We did feel that the hotel needs to have a better parking arrangement for it's visitors. I was very impressed by the sea view room with wall to wall windows. The selection of power outlets was very convenient. The hotel is in a good location for the yacht building yards in Via Coppino. It is a good walking distance. A very comfortable room. I would prefer if it had a small kettle and tea coffee. A good choice of TV stations. For a person travelling alone this is very important I wish that for breakfast there is a choice between cornetto and real French Croissant!!! No english channels on the tv - that's it - everything else was fantastic! Great hotel! Amazing location! And the staff was fantastic! They helped us with all our needs. Loved this hotel!! Nothing as we liked everything. The whole experience was excellent. This was our second visit to the hotel in 2019 as we had previously visited in April 2019 and look forward to further visits in the future. Excellent staff ; very clean hotel and a very high standard of appearance. Beautiful view of beachfront. Good breakfast. Comfortable clean room. Friendly barman. A little bit noisy inside the hotel. The location in front of the beach, our room and balcony with ocean view and cleaness. Breakfast were varied and good.